The newly opened Kai Tak Cruise Terminal in Victoria Harbour, located in the site of the old Kai Tak airport, is only the beginning of a mega development which will be home to a vibrant, state-of-the-art sustainable community. The project includes the Cruise Port facilities, a sports and recreation complex, as well as residential and commercial projects. With the Kai Tak Cruise Terminal, Sir Norman Foster is adding another landmark to his roster of Hong Kong architectural design marvels. He has been responsible for some of the city's most iconic properties, the Hong Kong and Shanghai Bank Building and the Hong Kong International Airport in Lantau Island. The Terminal's design anticipates the needs of the new larger cruise liners which could not be accomodated at Ocean Terminal. The Cruise Port facilities supports two berths, combined they will be able to handle 8,400 cruise passengers who will embark/disembark through five passenger boarding bridges. The Terminal had its soft-opening in June 2013 with the arrival of Royal Caribbean's Mariner of the Seas, the very first vessel to sail into Kai Tak. 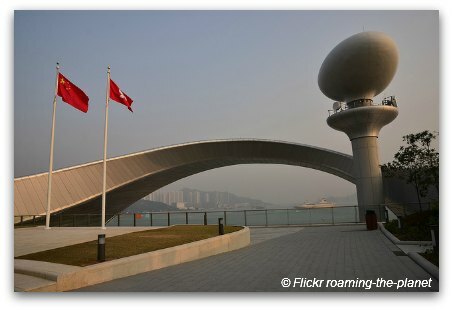 This being a new venue, there are only a handful of cruise ship arrivals at Kai Tak every month with the main cruise traffic transiting through Ocean Terminal. There are plenty of green areas and pedestrian friendly access to one of the most famous Harbour views in the world. 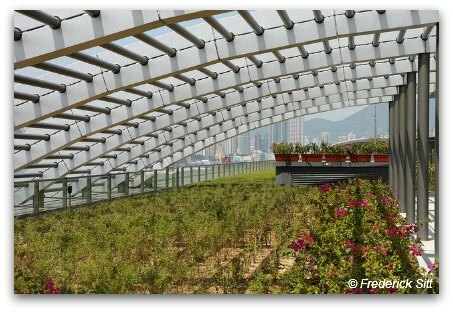 The Kai Tak Cruise Terminal rooftop park is now open to the public and is free of charge. Hours are from 07:00-23:00. In the works is a Public Transport Interchange with a 12-station 9 km long elevated monorail system that will connect the Cruise Terminal Building with the SCL Kai Tak Station, MTR Kowloon Bay Station and Kwun Tong Station, and thus, with Hong Kong's extensive MTR system, but while it's still in the works, we will have to rely on the city's efficient network of buses and taxis. 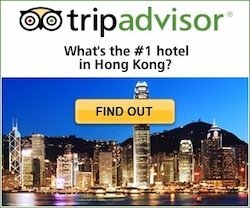 If coming into port with limited time, you can look into some of these Hong Kong Shore Excursions which will pick you up at Kai Tak Cruise Terminal, let you enjoy some of the best of Hong Kong highlights and make sure you are back to port on time before your ship departs.